The success of the ambitious 2030 Sustainable Development Goals, adopted by world leaders to achieve a healthy, equitable and peaceful world, will depend on India, Union Minister Hardeep Singh Puri has said. 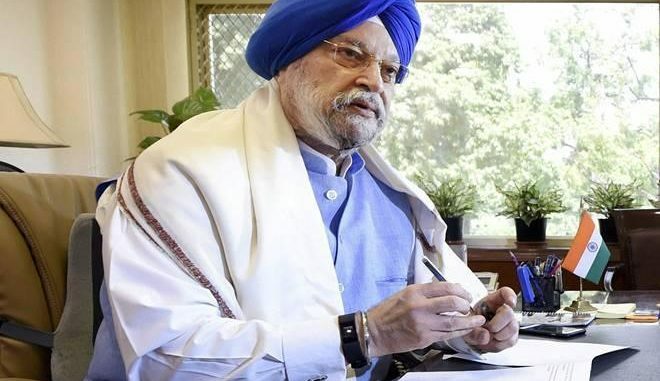 New Delhi: The success of the ambitious 2030 Sustainable Development Goals, adopted by world leaders to achieve a healthy, equitable and peaceful world, will depend on India, Union Minister Hardeep Singh Puri has said. The Minister of State for Housing and Urban Affairs said Prime Minister Narendra Modi’s flagship development programmes are “game-changers” and through these, India has embarked upon the world’s largest and most comprehensive programme of planned urbanisation undertaken anywhere in the world. “The Millennium Development Goals succeeded largely because China lifted hundreds of millions of people out of poverty. The success of the Sustainable Development Goals (SDGs) depends entirely on India and we are determined to (achieve that),” Puri told PTI here. “I have no doubt on the India success story. We will deliver it in a green and resilient manner. But the SDGs were not made for India, they are a global set of goals. India will succeed and therefore SDGs will succeed” because India’s success will impact 1.25 billion people, he said. Puri was in the city to attend the United Nations High-Level Political Forum, which is reviewing progress towards several of the SDGs. The 2030 Agenda for Sustainable Development and its 17 Goals were adopted by world leaders in September 2015 as a blueprint for creating a healthy, equitable and peaceful world. In adopting the development agenda, world leaders had resolved to end poverty and hunger everywhere; to combat inequalities within and among countries; to build peaceful, just and inclusive societies; to protect human rights and promote gender equality and the empowerment of women and girls by 2030. India’s urbanisation agenda entails building 700 to 900 million square meters of urban space every year, Puri said, adding that India will have to build a new Chicago every year from now till 2030 to meet its urban demand. He added that in 1947, when India became an independent country, 17 per cent of its population, on a base of 350 million, lived in urban areas. At present, over 30 per cent of India’s population, on a base of 1.2 billion, lives in urban centres. By 2030, when work is completed on the 2030 Development Agenda, nearly 600 million Indians, or 40 per cent of the country’s population, will reside in urban spaces. Puri stressed that the new urban infrastructure India builds for 2030 will have to be green and resilient. He added that under the Pradhan Mantri Awas Yojana, the government aims to build 11 million affordable homes for urban Indians by the year 2022. “We have already sanctioned over 5 million and are confident of meeting the targets by middle of 2019,” he said. Puri, who is also President of the Governing Council of UN Habitat, the UN programme focussed on promoting socially and environmentally sustainable human settlements, said his “most pressing preoccupation” is the concern that the urbanisation narrative by itself and the climate change and urbanisation narrative is not resonating enough in the international community. “What my concern as President of the Governing Council of UN Habitat is that the international community and the multilateral system anchored in the UN has parts of it dealing with climate change, environment and habitat but together it is not resonating in terms of the task at hand,” he said. Puri, who met with UN Development Programme Administrator Achim Steiner, UN Environment Programme head Eric Solheim and UN Habitat Executive Director Maimunah Mohd Sharif during his visit, said he stressed in his meetings with the top UN officials that there is a need to “put our heads together, put together a process that will ensure that we optimise the attention and resources to make sure the climate change and habitat together get the kind of attention” it needs. Underscoring the important role of the private sector and civil society, Puri said the “development paradigm needs to focus much more sharply on urbanisation.” He said as the President of UN Habitat, he is absolutely determined to get a “new discourse on urbanisation and climate change in India that includes greening and using technology to produce ease of living. Puri said as people move to urban areas in India, it has to be ensured that the system is able to deal with that magnitude and scale of demographic shifts taking place. “I think we are up to it. You need to build in a green and resilient manner, you need to ensure that instead of getting urban sprawls which are horizontal you focus on the vertical, you need to put in better sewage treatment plants,” he said. Amid concerns of cities running out of water, Puri said if nations don’t address these concerns, there is a “danger” lurking there. “India has no shortage of coastline and rivers. What India needs is a very comprehensive strategy to recycle and reuse water and water treatment. We should be acutely conscious of this concern,” he said, adding that as water tables fall around the world, nations must conserve rainwater and have efficient water treatment plants.